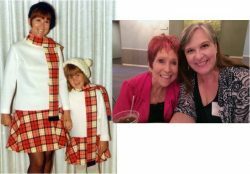 After the last couple of blog posts about different kinds of mothers, and who we choose to love as our mothers, I couldn’t help thinking about my own mother. 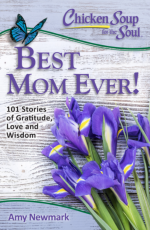 For some reason, it’s difficult to write about my mom. Maybe because the emotions run too deep. She is a huge influence on my life, and a source of strength for me. That was magnified a couple of years ago as she battled her own health issues. Her determination to get through it all was amazing to watch. That same quality of determination, courage and strength propelled her through her years as a military spouse, too. What a wonder she is! I suppose I could go on and on describing my mom’s qualities, but truly, there’s only one word to describe my mom: LOVE. She exudes love. She is sunshine, hope and light. You can’t exhibit these qualities without being filled with love. I’m blessed to have a mom who exemplifies love, who showed me love. Hopefully, I’ve passed on those lessons to my own kids, and now to my granddaughter. Now, I would be remiss, for this Mother’s Day post, not to thank my mothers-in-law as well. For my Mother-in-law #1, thanks for your laughter and the joy you take in life. And MIL#2 (technically, the step-mother-in-law, but she’s a mother-in-law all the way), I thank you (frequently) for your love, support, advice and understanding in taking on a ready-made family. I’m so thankful for our conversations and the fun we have together. Happy Mother’s Day to all my moms, biological, via marriage, or adopted by love. I’m thankful for everything you give to me to make me a better mom.